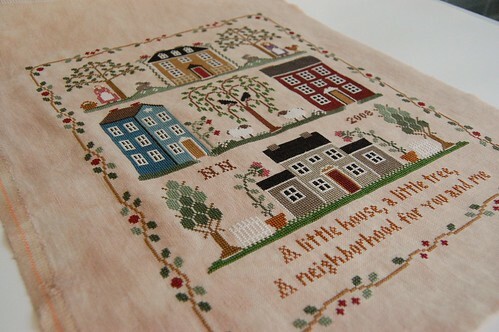 Nicole's Needlework: Little House Neighborhood Finished!!!! 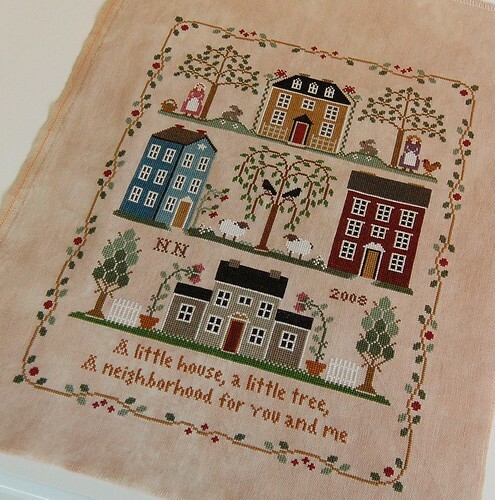 Little House Needleworks "Little House Neighborhood"
woohoo!! congrats on the finish, it looks great. Its lovely Nicole - Thanks for sharing your pretty finish with us. Well done on your finish it looks great! It turned out just great. Love the touch with bunnies. It's lovely, Nicole. I hope to get mine finished up this month! Where did you get the charting for the bunnies. I like the idea of bunnies instead of squirrels on mine as we don't have squirrels in NZ. It looks terrific ! I'm enjoying working on mine, but havn't gotten very far with it. Very pretty, congrats on the finish! Very pretty. 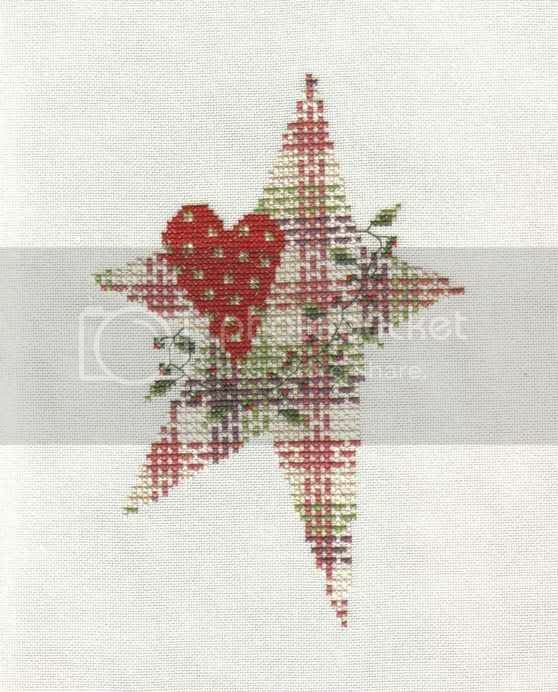 Look forward to stitching this someday. 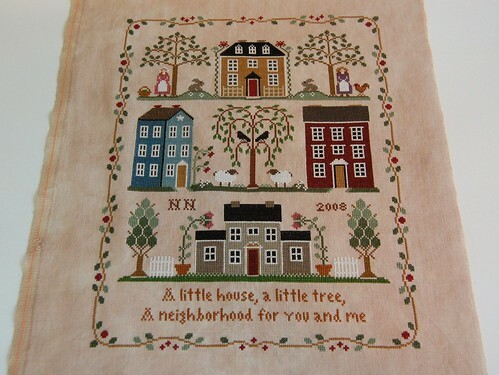 Have you seen the new thread packs coming out by LHN/CC, Sea to Shining Sea? It is so beautiful. Love it Nicole! Congratulations! I do like your bunnies! It is beautiful. I really like it. Nice stitching! Nice job! It's a great design. It looks so beautiful, Nicole! Great job on the finish. Congratulations on your finish Nicole! It looks fantastic! GORGEOUS! Throw 'er in the tub! Congrats on this great finish and also congrats on a super picture of it. The colors are so clear. I love it, Nicole! Well done and congrats!!! Very beautiful work. I love the colours of this one.